Shyam Sharma runs a 75-year-old sweet shop in Vrindavan. “One could see the river bed underneath 25 years ago, so clear was the water. But now the river stinks as all the drains in the city are discharged into it,” he said. “It was only during his tenure that one saw a visible change in river sanitation. But not anymore. It is filthy again and no one cares. 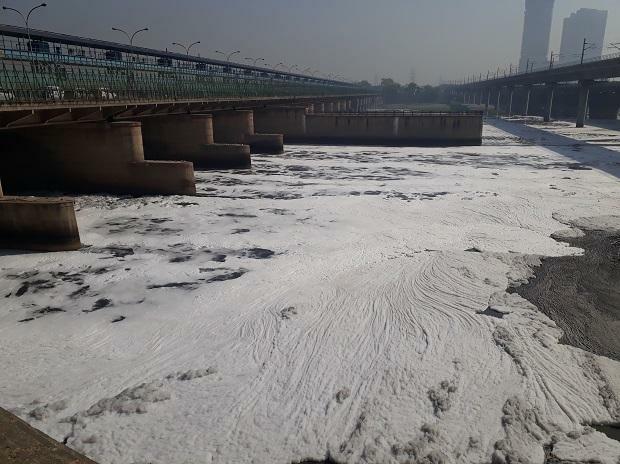 International tourists throng the city but the administration couldn’t care less about a clean Yamuna,” he says. A state government official says the Yamuna at Agra lacks the depth to ply a ferry. “Water must be 10 metres deep to make any kind of navigation on the river possible. A ferry cannot run in less than 10 metres,” the official said.